Three weeks ago, a group of anonymous engineers sent a report to the Russian opposition paper Novaya Gazeta. The newpaper published the findings of these engineers in the article “It was Buk-M1”. This publication drew a lot of attention in Western media and it was interpreted as: finally the Russians admit it was a Buk after all. Some “Russia experts” explained the engineers had to stay anonymous, because if their identity is known, they would be in front of a judge in no time. Yesterday it became clear the ‘anonymous engineers’ of the Novaya Gazeta article are almost certainly employees of Almaz-Antey. The sheets and graphics presented by the company were exactly the same as the ‘anonymous engineers’ ones. You can watch the entire press conference here (1Hr31m). Here is a seven minute video that gives a rough idea what was discussed during the press conference. The spokesman explains this is the picture the United States presented few days after the crash. 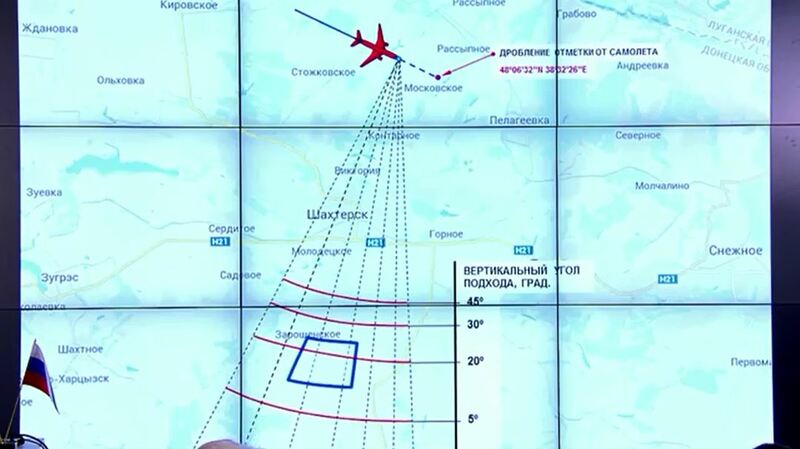 It shows the flight path of an SA-11 missile system which started in the area of the town Snizhne. See above. 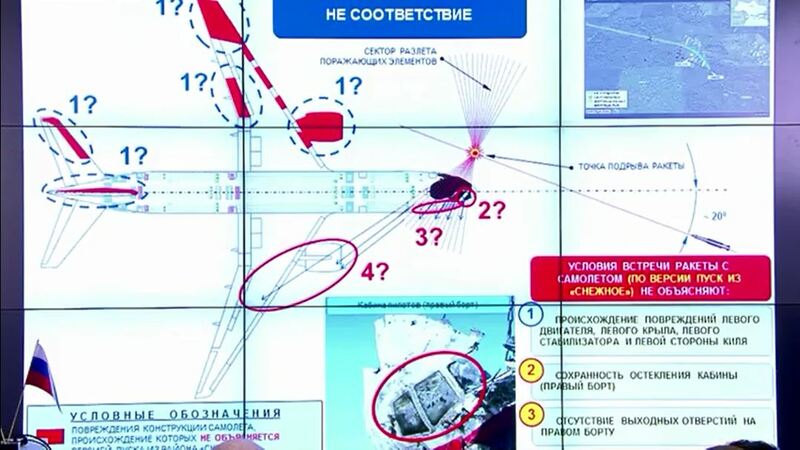 The BLACK spot is the damage as would be expected from a missile coming from direction Snizhne. 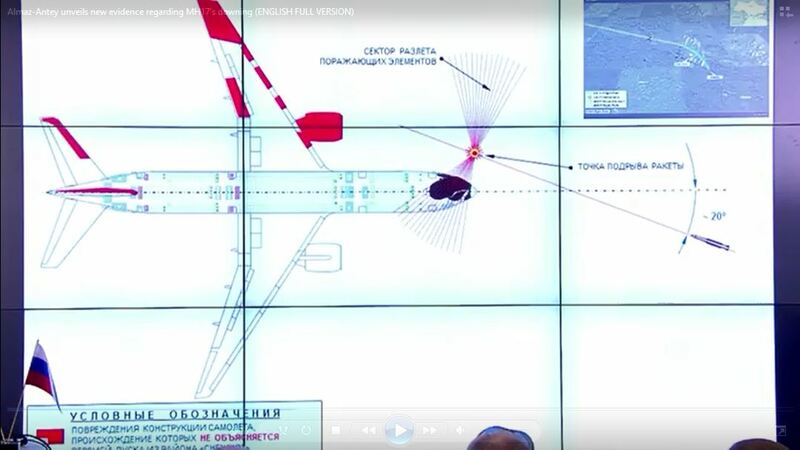 The real damage to MH17 however is marked RED. There are a lot of mismatches. In case a missile was fired from direction Snizhne there had to be damage to the right wing and right hand side cockpit must have been very heavily perforated. Both is not the case. 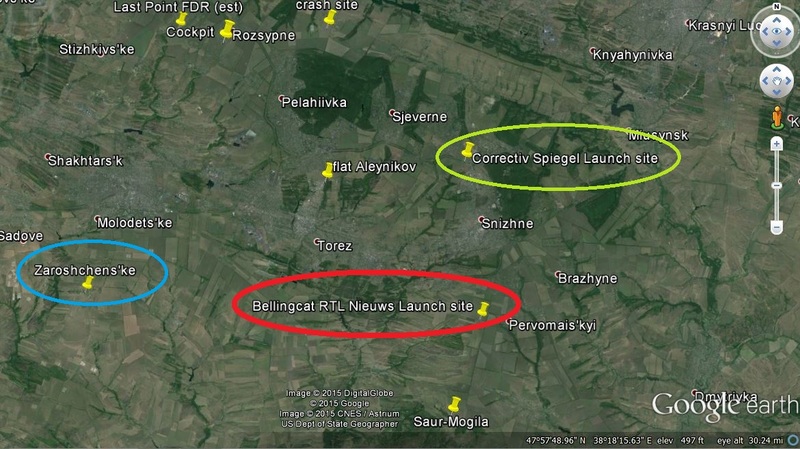 It would also mean Bellingcats launch spot never existed and all the video and images of Buk-M1 shown in the 60 minutes documentary are totally irrelevant. 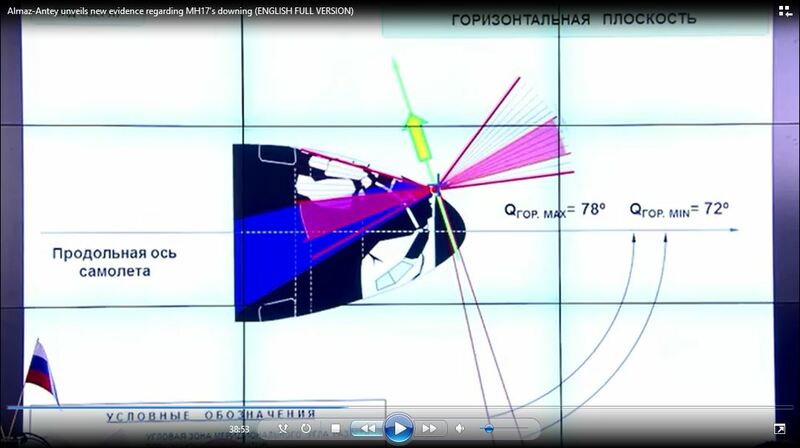 Only with these vectors the damage to the plane can be explained. 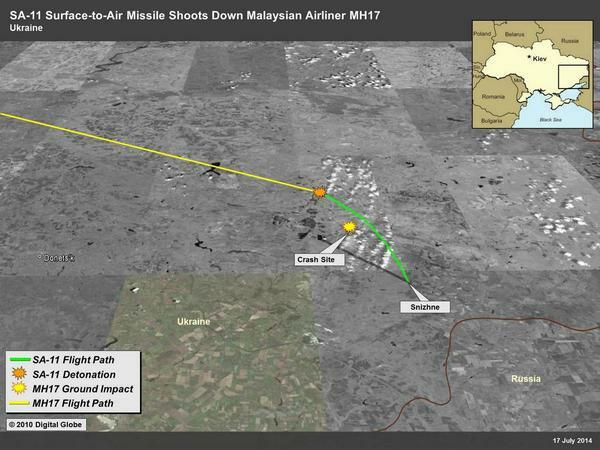 With the collected and calculated data it is now possible to establish an area from which the missile was launched. They area is 2.2 x 2.5 Km near Zaroshens’kye. After being blocked by Mr Higgins for a very long time, recently it seems I keep drawing his attention all the time. And let’s face it, seems he has a point here, right? Not quite…. There you have it. 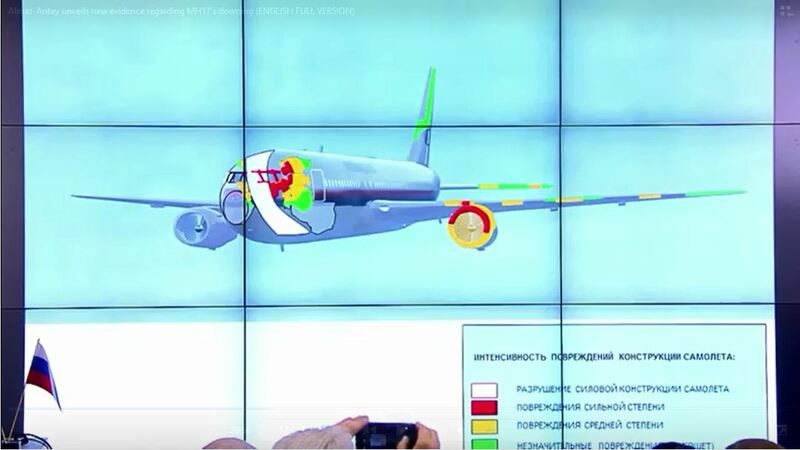 The presentation of the ‘anonymous engineers’ a few weeks ago, the Almaz-Antey press conference and on the same day the name of an anonymous key witness in the military jet story is made public. What we have been witnessing is a carefully prepared and coordinated campaign by Russia. Posted on June 3, 2015 by 7mei.nl. Bookmark the permalink.